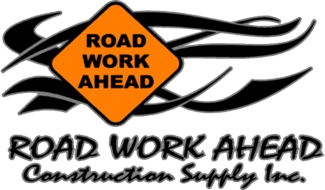 Road Work Ahead’s sign shop specializes in custom traffic signs. These signs include most construction related signs, street signs and other custom signs. Our ability does not end at traffic signs. We can produce real estate signs, banners and custom decals. Above is a list of standard construction traffic signs. We can make most styles of traffic sign including regulatory, informational signs, and many others. Due to our small size most custom signs are available on the next business day.